Sometimes it’s good to hit the reset button. Bram Stoker didn’t invent the vampire, but he carved the archetype: a creature of power, terror, and ruthlessness hidden under a veneer of charm. Vampires have been popular recently, both in fiction and movies, but the trend has been to smooth over their edges, making them suave, stylish, even glittery, in a way that doesn’t sit well with many fans of horror. The first story begins in Nevada, during the construction of the Boulder Dam (now called the Hoover Dam). As the construction expands, so does the vice in nearby Las Vegas. Where there is vice and money, there is blood, and where there’s blood, there’s vampires. Sweet, living under the name Jim Smoke, is running a brothel called the Frontier. In life, Sweet was a murderer and a thief, with a knack for riling up pretty much anyone he interacts with. As a vampire, he’s even worse. When a man turns up drained of every drop of blood after dating one of Sweet’s girls, the law begins to take an interest. But do they have any idea who, or what, they are dealing with? Pearl Jones, a vampire created by Sweet in Volume 1, is still struggling to come to terms with the consequences of her new life. Desperate to live as normally as possible, she shuns her vampire side, feeding on blood without killing. But she is forever tied to Sweet, and the people who want him dead have decided that she just might hold the key to getting rid of him for good. Pearl, along with her husband Henry, is also featured in a shorter second story in this volume. Although each of the stories has a conclusion, the reader is always somehow left feeling like none of the stories actually end. They are just pieces of a larger narrative that slowly builds with each vignette. Snyder’s writing ratchets up the tension, and the angularity of Albuquerque’s drawings enhances the sharpness of the vampire’s bite. For the first volume, Snyder approached Stephen King with his idea for Skinner Sweet wanting a forward, but King was so enthused with the character he ended up guest writing the origin story himself, based on Snyder’s outline. If a stamp of approval from one of the biggest American horror writers wasn’t enough, American Vampire won the 2011 Eisner and Harvey Awards for Best New Series. Recommended for fans of horror and westerns. Check the WRL catalog for American Vampire. High noon at the O.K. Corral (actually around 3pm), The Earps and their pal John “Doc” Holliday face down the Clantons, and when the smoke clears there are three men dead, and a trail of vengeance begun that would lead to more deaths. That is all most folks know about Wyatt Earp and Doc Holliday. Here, Doc never makes it to Tombstone. 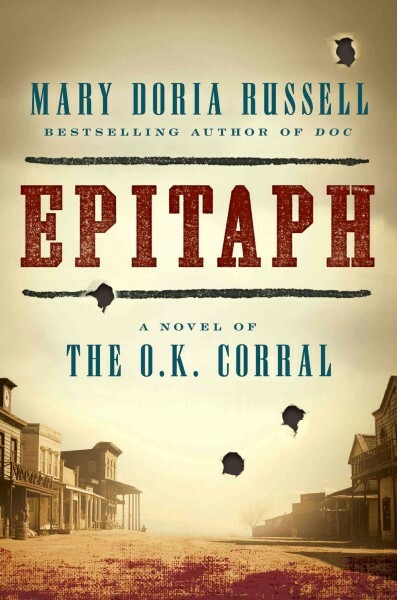 Instead, Mary Doria Russell has written a superb story about the Earps and Holliday that explores their lives in Dodge City, Kansas in the years before they made it out to Arizona. John Holliday has left his native Georgia to make his way West, in hopes of easing the effects of the tuberculosis that would kill him in less than a decade. Seeking to set up a practice as a dentist, he supplements his meager earnings through his skills at the faro and poker tables. In the course of his time in Dodge, he meets and becomes uneasy friends with sometime lawman Wyatt Earp, second oldest son of a large and close family originally from Illinois. In Russell’s able hands, the Earps and Holliday escape the bonds of gunslinger mythology with which they have been so long entangled. Holliday’s illness and touchy temper shape his encounters with everyone from priests to prostitutes to cowboys. As Russell depicts him, Holliday is a faithful, if at times difficult, friend, and a bad enemy. He moves quickly from charming to deadly cold, but cares deeply about people. Wyatt Earp may be the most sympathetic character in the book. His patience with Holliday, his affection for his brothers, and his resolute honesty make it impossible not to like him. The other characters, fictional and real, are equally appealing and equally complex. Russell not only excels at character, she also does a fine job at creating a sense of place that feels all too real. Dodge City comes to life in all its squalor, casual violence, political corruption, difficult family lives, and occasional humor. Frontier towns were not all cowboys and saloons: actor and comedian Eddie Foy brings his show to town and becomes friends with Holliday and the Earps. Russell also introduces a fictional priest, an Austrian Jesuit, who becomes friends with Doc and Wyatt. Doc is death-haunted. Holliday knows that he will not live long, and it is painful to read about the agonizing effects of his TB. There are numerous deaths in the book both prior to the time of the story and in it. Accidents, illness, and all too common violence take their toll on the characters. Nonetheless, this is an optimistic story. Although we know that many of the characters, Doc, Morgan Earp, and others, will meet hard ends down the road, here, we see them as fully-realized human beings, trying to make their way in a difficult world. 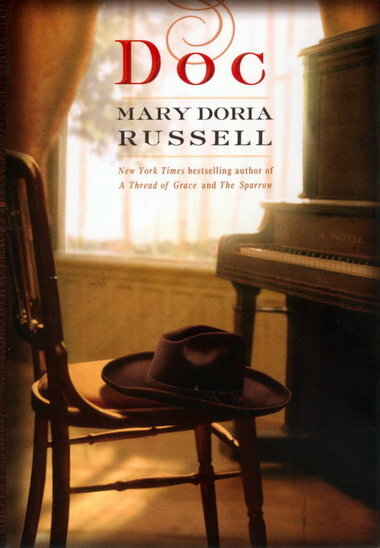 Regardless of whether you are interested in the West or in westerns, you should read Mary Doria Russell’s Doc. It is the work of an outstanding writer at the top of her game. What an attraction it must have been. 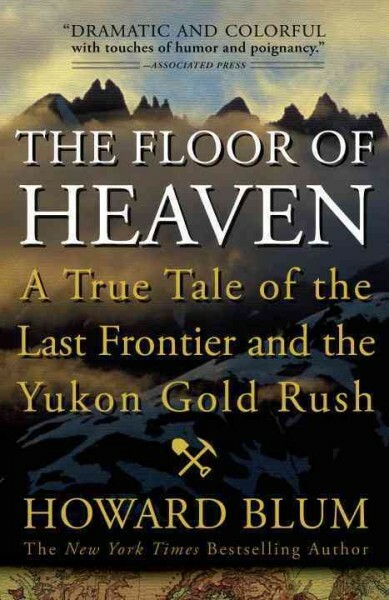 Stories of thumb-sized gold nuggets just laying in a Yukon streambed for the taking drew men from around the world to make their fortunes. In the midst of a worldwide Great Depression, many walked away from failing businesses and farms, left their families, and headed North to Alaska in search of wealth and redemption. Some would become rich beyond their dreams, while many others would lose everything, including their lives, in their search. Along with the would-be millionaires came confidence men, counterfeiters, thieves, pimps, and jaywalkers. Hoping to gull the marks, they worked in gangs which were often protected by the police. While usually not violent, they did have enforcers who would take care of anyone who protested about losing their money, or use strong-arm tactics to collect protection money. Alongside the reputable businessmen who served the legitimate needs of the growing territory, they would rake in the cash by indulging the darker side of human needs. Such men gave places like Skagway, Alaska–like every boom town before and since–a reputation as wide-open and lawless. Three men–outsized personalities all–are the perfect filters to tell the story of the Yukon Gold Rush. George Carmack was a deserter from the Marines who lived with the Tagish tribe of coastal Canada when he wasn’t searching for gold. Charlie Siringo was a former cattle drive boss, a successful cigar merchant, an unsuccessful writer of Western tales and eventually a Pinkerton’s detective. And Jefferson R. “Soapy” Smith was an accomplished con man, leader of a gang of specialists who could separate even the most suspicious mark from his last dollar. The three of them would eventually converge on Skagway, where they would face off over a fortune in gold. Blum traces their lives, using contemporary records, their own letters and writings, and in-depth histories of the region. 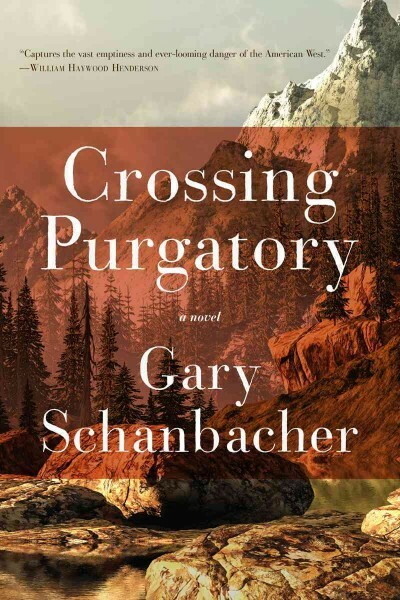 Readers see Carmack and his Native partners carrying enormous loads of supplies through the wilderness and stumbling across the creek that started the Gold Rush. We ride with Siringo in his lengthy search for desperadoes, then on his investigation into the impossible theft of gold bars from the world’s largest gold mine. And we learn about the variety of large and small scams that gave Soapy his fortune and ambitions for respectability. 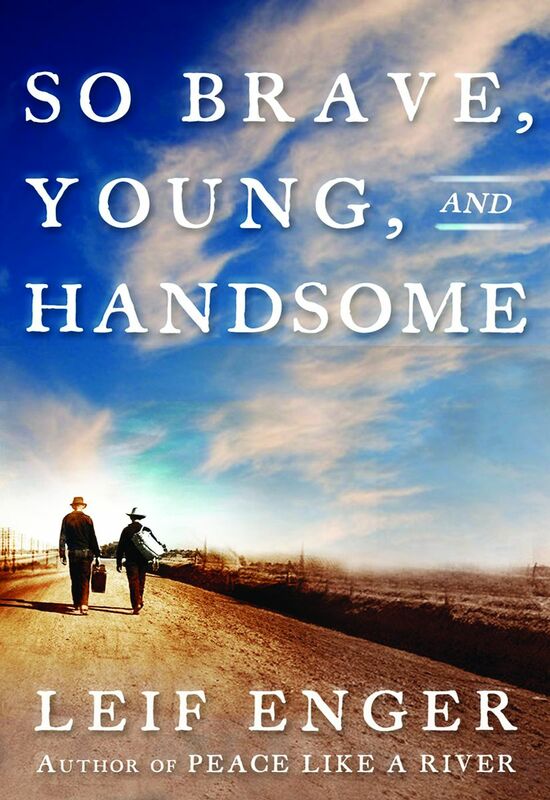 The end of the early, “wild” west has always been a great setting for stories, and Leif Enger’s second novel So Brave, Young, and Handsome adds to that tradition. It captures an exciting time when one generation, one way of life, was passing into the sunset, but another way of life was being born. It’s 1915, and the protagonist is Monte Becket, a Minnesota man who wrote one great adventure novel, but despite several false starts, cannot find the thread for his next book. He’s considering giving up writing and returning to a bland job in the post office, but he wonders what that will do to his marriage and the adulation of his son Redstart. Becket doesn’t just have writer’s block, his whole life has become stuck. That changes when a mysterious man named Glendon Hale appears on the local river. The two men strike up a friendship, although Glendon remains elusive. But ultimately, when Glendon decides to journey to Mexico in search of some kind of reconciliation with his lost wife, Monte, with his wife’s encouragement, goes along. What follows is a rambling adventure on rivers, trains, and on early roads through little towns, a late Wild West Show, and out to California. Along the way, Becket encounters two more characters, who along with Glendon, will forever change his outlook. The first is Charles Siringo, a prairie version of Hugo’s Javert, a vicious and egomaniacal lawman who is continuing a long chase. The second is Hood Roberts, an upbeat young man in search of Western adventure. Becket is a waffler compared to all three of his companions, who while they have little else in common, are all men of action. As he’s dragged through chases, near escapes, and disasters, he begins to pick up a little of their gumption. Enger captures the more formal speech and writing patterns of early America beautifully, and that especially shows in the audiobook, read nicely by Dan Woren. Addressing various themes such as what it is to be good, whether one can ever shed guilt, how failures can damage a relationship, the driving force of revenge, and the different ways in which we can create the story of our lives, this is an enjoyable and powerful book. 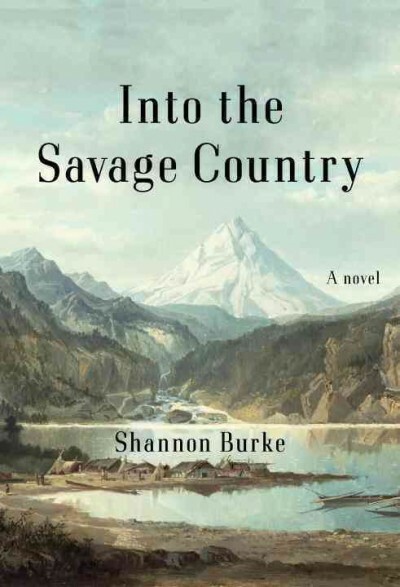 Like Enger’s excellent first book, Peace Like a River, this story features a great American journey and some truly American characters in the process of finding themselves. He’s one of our best current novelists, and I look forward to his future work.